Denu is a newly established brand created by the passionate Sarah ( Founder of the company ). Producing a range of body products that are fabulous to use, natural &amp; organic, made in Australia, packaged beautifully and to support local charities was something Sarah had dreamt of doing for a long time. Sarah from Denu had created a website herself when the brand was launched it was quickly realised if she was to take the business to the next level then a professional online presence was needed and that’s when we meet. Sarah was being referred by one of her friends which was a happy Digital Pieces customer. Being a small business it was crucial that the website was designed and developed to provide the business with cost effective yet feature packed and flexible platform. 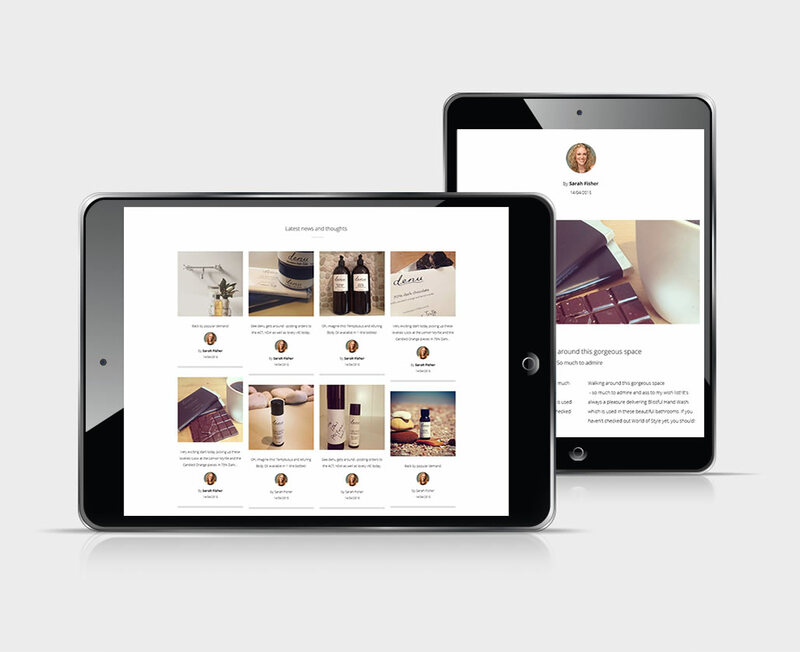 Solution was to build a custom responsive website on a shopify ecommerce platform. There is a lot involved in running an online store and this platform was a turn-key solution providing everything Denu needed including extensive analysis dashboard showing important data information about the users visiting / buying from the website. Custom Responsive Web Design, UI/ UX Design, Ecommerce Shopify Platform. Denu is a robust shopify ecommerce website with mailchimp integration to allow users to sign up and be kept up to date with their latest product releases. Integration of XERO financial system into their ecommerce platform, to ensure all management end points were updated automatically when purchases were made through the online shop.